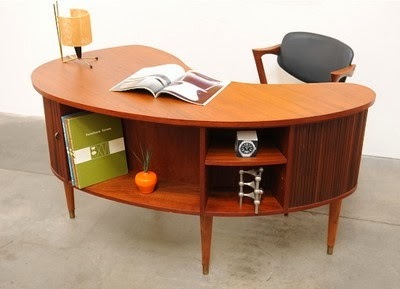 Back when I didn't know my white whale was a Kai Kristiansen Model 54 desk, in my search to find it I would come across similar mid-century modern desks that have a bar in them. 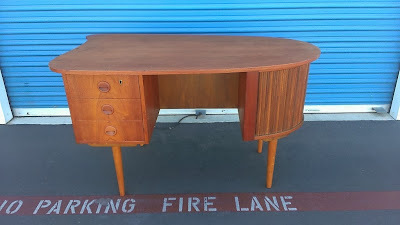 All amazing looking, just (in my mind) slightly less amazing looking as the Model 54 desk. 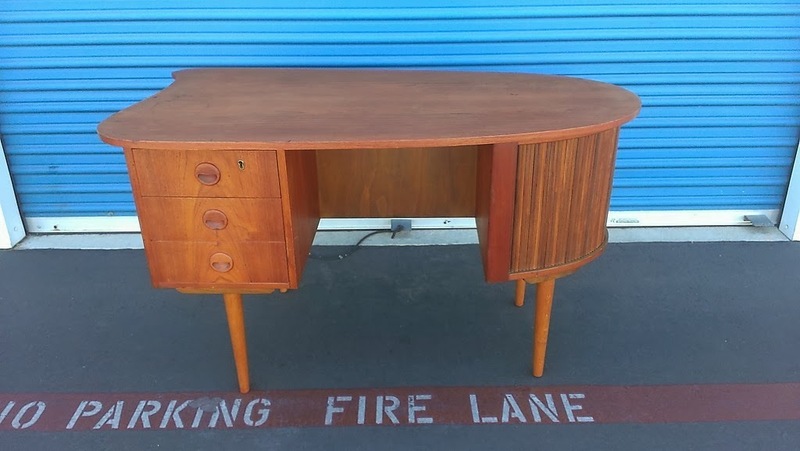 Maybe it's because I'm an Austin copywriter by day that I put such high value on a good looking desk, but I'm in love with this style of mid-century desk. I like to think that great creativity has come from behind these desks, and that having a bottle at arms reach helped celebrate a new client win (or unstick some serious writer's block). Plus, they're a wonderful mix of form and function, essentially being two pieces of furniture for the price of one. 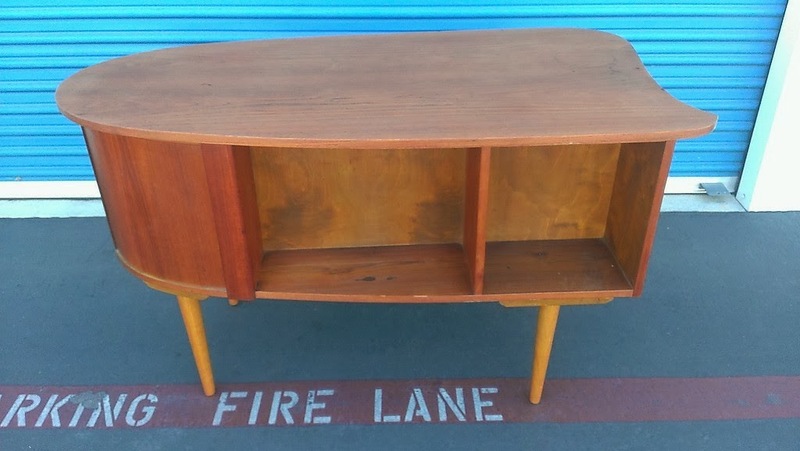 There's something about a desk that looks best when it's not pushed up against a wall, one that's a centerpiece to the room, with shelves to hold your favorite novels or nick-nacks.